St. John’s is full of colourful experiences that our team can help you share with your travellers. St. John’s is full of colourful experiences that our team can help you share with your travellers. Quirky culture, freshly foraged award-winning cuisine, and a metropolis that is a fusion of 500-year-old history and modern amenities, are all set against a backdrop of breathtaking scenery – we like to call it Mother Nature’s theatre. Get started today by speaking with one of our team members who can connect you with our friendly and professional tour operators and offer advice on trip itineraries. Wander the streets of one of North America’s oldest cities, St. John’s, and you’ll find your heart lifted with the jellybean colours of heritage houses and historical buildings. The people who live here defy all description in their wit, their warmth, and their ability to have a great time no matter what day of the week it is. When it’s time to get away, you’ll head to the outports where the sea still plays an important role in everyday life. This six-night self-drive adventure in Newfoundland and Labrador will be one of the most colourful experiences of your life! St. John’s features vibrantly coloured homes, colourful characters and a rich ats community. 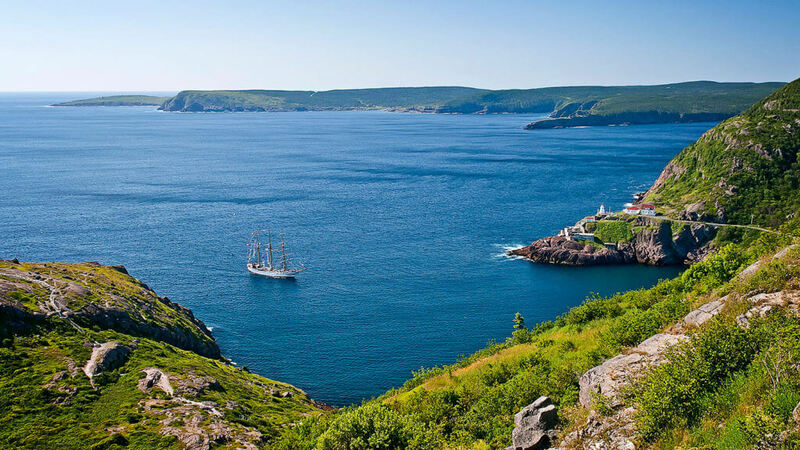 When in St. John’s, explore the many iconic landmarks, such as Cape Spear Lighthouse, Marconi Tower on Signal Hill, The Battery, and St. John’s Basilica. A visit to The Rooms is a must to explore the gallery exhibits, museum and the best views of the harbour in the city. Situated in one of the largest harbours on the Avalon Peninsula, Harbour Grace is a town with a rich, varied history. Discover some of the town’s famous attractions, such as the shipwreck of the SS Kyle, and the Harbour Grace Airfield, where Amelia Earhart’s successful 1932 solo flight across the Atlantic began. Situated on the Bonavista Peninsula, there are beautiful drives and picturesque communities steeped in history around every corner. Hiking the beautiful coastline of the peninsula is an amazing way to explore this part of the world. The Skerwink Trail is one of the finest hiking trails in Canada. Also visit their interesting little cafes and shops or take in a show at the Rising Tide Theatre’s Trinity Pageant. Explore the wonderful downtown of St. John’s, with its eclectic shops, galleries and crafts. Known for its fabulous dining and live music venues, it will be easy to spend a relaxing afternoon here. 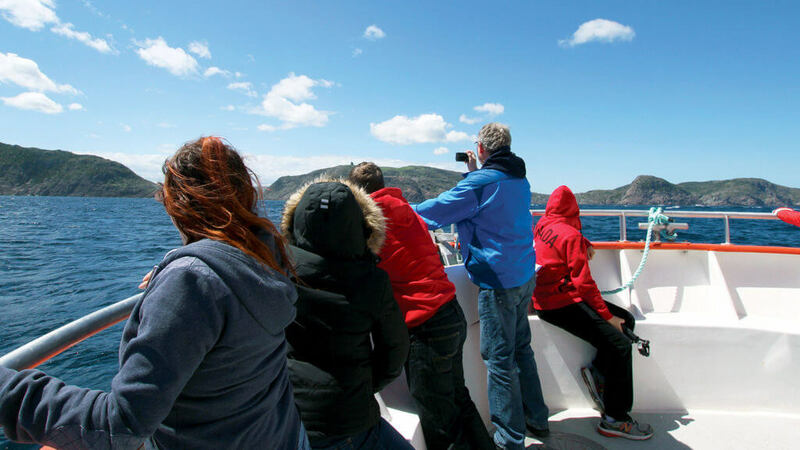 Explore Newfoundland’s east coast with a local guide – giving you insight into our culture, history and lifestyle of the people who call Newfoundland & Labrador home. Average group size of 35 passengers. You will arrive in St. John’s and begin your holiday where you will be greeted and have an evening reception so you can meet fellow travellers. On day two, you will tour historic St. John’s including stops at the provincial art gallery, museum and archives, The Rooms. You will also tour the Johnson Geo Centre and stop for a delicious tasting at Newfoundland Chocolate. We will take a quick detour to north of St. John’s, the Admiral’s Coast, where uniquely named fishing villages are tucked into the rugged cliffs and are a perfect photo opportunity. Dinner is planned on your second day and will take place on George Street, where you will enjoy Newfoundland food and live music. As you travel along the coastline of the beautiful Irish Loop, you will take a stop at the Avalon Archaeology Site, where the remains of an early 17th-century settlement is well preserved. A picnic lunch will be available at the Ferryland Lighthouse (35-minute walk) or at a local Ferryland restaurant. In the afternoon, a trip to Bay Bulls will give a chance to see Atlantic birds including puffins and whales. Dinner will also be served in Bay Bulls. You will go “around the bay” to visit villages that were historic sailing ports and home of the late, famous Captain Bob Bartlett who took Perry to the North Pole. In the evening, you will travel to Trinity, which is the oldest and, perhaps, most picturesque fishing community on the island. Breakfast and a mid-day meal will be provided. You will travel to Bonavista, the landing place of John Cabot in 1497. Here you will visit the lighthouse at Cape Bonavista and the Ryan Premises, a Nation Historic Site dedicated to the explanation of the history of the cod fishing industry and will be provided a mid-day meal. You will return to Trinity for dinner and a second overnight stay. 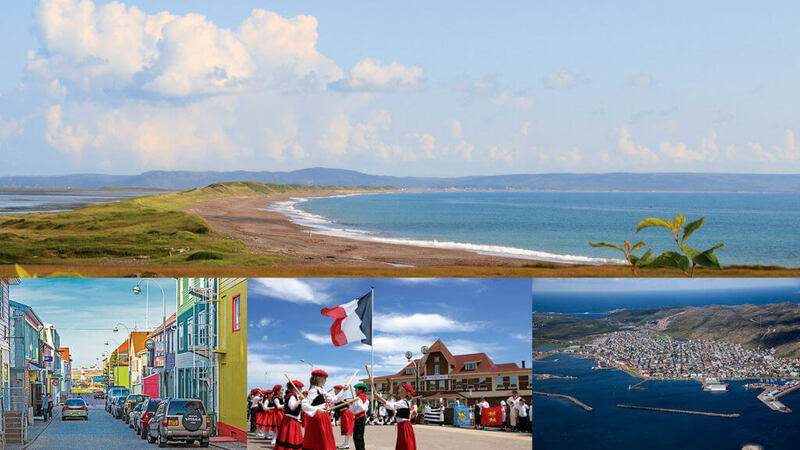 Travelling to Fortune on the Burin Peninsula, you will take a ferry to France; the island of St. Pierre. The residents are French who have lived on the island for many generations. Their traditions are European with an interesting mixture of French and Basque culture. On arrival, you will have a tour of the island and receive a mid-day meal, and in the afternoon you can continue to explore on your own, ending in the evening with a fine dining experience. On the second day, you are free to continue to explore the island or do a half-day tour of Isle aux Marins (Sailor’s Island) a small fishing village. In the morning, you will catch the boat back to Fortune, NL, where you will drive up the “Burin Boot” and head back into St. John’s. There is free time in the afternoon to explore the downtown area and your day will end with a farewell dinner in the evening. With one final breakfast, you will say farewell to Canada’s oldest province. As you fly home, it will be with many delightful memories of an authentic Newfoundland experience. A holiday where you choose the dates and leave the rest to Wildland. This trip enjoys the comforts of old St. John’s in the evening while providing three fun days of exploration and wildlife that features the highlights of the city and the countryside. You will be greeted at the St. John’s airport where you will be shuttled to the overnight location and introduced to the highlights of the upcoming adventure. Taking a boat tour, you will witness North America’s largest puffin colony and thousands of other seabirds. On this tour, you will often see the season’s first whales and dolphins as they glide along the boat. In the afternoon, you will enjoy a local lunch in one of the New World’s earliest fishing villages. As you circle the Avalon Wilderness Area, you will be welcomed by the world’s most southerly caribou herd, small puffin colonies and seals along the coast. This is a perfect day to capture breathtaking photos in the wilderness of Newfoundland. Travel to North America’s most easterly point and briefly explore the oldest city, St. John’s, before traveling to the first outpost of New France. Here, you will visit the continent’s third largest gannet colony which is also a breeding ground for thousands of other seabirds. You may also see another caribou herd, moose, and a few whales as you walk along the coast. In the evening, you will delight in a farewell dinner in the city of St. John’s. On day five, you can enjoy the colourful downtown before we take you to the airport.